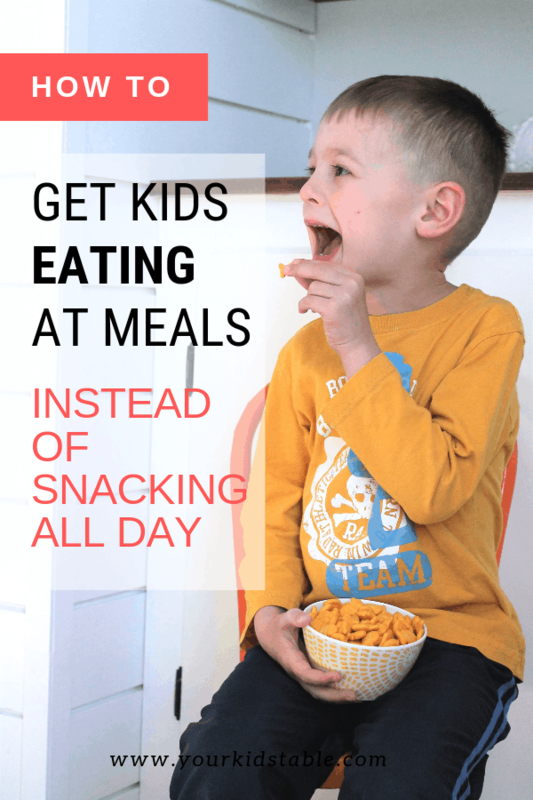 Wish your kid ate less snacks and more at meals? Learn how to help them with these 8 steps that will have your kid hopping into their chair and staying out of the crackers in no time! As soon as our baby is able to eat those little puffs, we throw them in our purse or the diaper bag. Next thing you know, they’re screaming while you have a cart overflowing with groceries and there are those little life saving puffs, goldfish crackers, or pretzels. It just makes sense to offer them a few while you finish up grocery shopping and get back home where you can give them lunch. Then, as our baby grows into a toddler and has a tantrum every other minute, those favorite goldfish crackers become one of the only things they’ll eat, so it just makes sense to leave a bowl out so they at least have something in their belly. And then that toddler turns into a young child and older child that likes having snacks around and now knows how to get them out of the pantry themselves. On one hand, this is kind of convenient, but on the other, they hardly ever eat meals because they’re always filling up on snacks. It’s an easy spot to find yourself in. 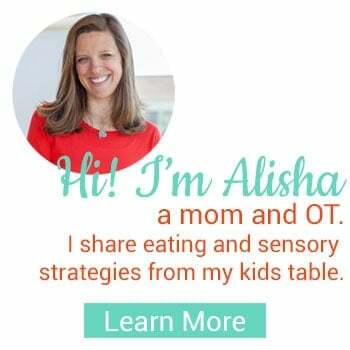 I get it because, even as an occupational therapist that specializes in feeding, I’ve done some of these same things with my own children. But, when any of the above becomes a habit, it can have a detrimental affect on a child’s nutrition and their relationship with food. Snacking throughout the day can even be the gateway to picky eating! Let me be clear here, having a scheduled snack as part of your routine is a good thing. Most toddlers and children need anywhere from 1-3 snacks a day. But, I like to treat those as a meal because if we leave snacks out all the time or offer them anytime our child asks, it turns into “grazing”. Kind of like that old cow in the field that’s just slowly munching on a bit of grass throughout the day. 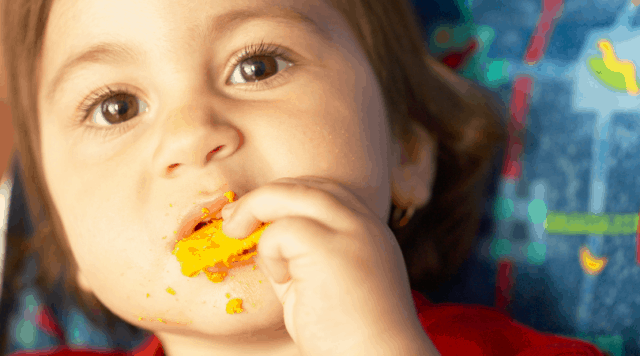 So, while snacking should be part of your child’s eating schedule, constant snacking can often do more harm than good for a couple of different reasons. First of all, when a child is having a couple of crackers, pretzels, or puffs here and there, it’s enough to spoil their appetite. I know that can be hard to imagine because it doesn’t affect our appetite, but young kids and some older kids haven’t learned that when food is in front of them, it’s time to eat. And, they only need a little bit of food to take the edge off their appetite. The other reason it’s not great is that we’re teaching our kids that food can soothe them when they’re upset or bored, if we’re always offering food when we hear a cry or complaint. They will likely carry those habits with them as adults. It’s definitely a challenge figuring out when a baby is hungry, and when they’re still nursing or taking a bottle, the feeding schedule can be a little wonky. 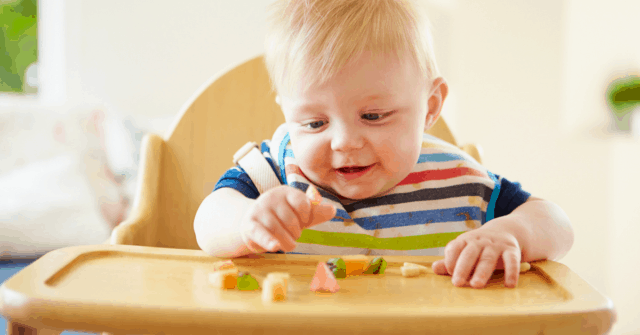 If you suspect your baby is really hungry, you may need to give them a snack, even if it’s at a time you hadn’t planned to. But, some babies will only eat snacks! They love those little crunchy baby foods like the rice husks, puffs, and teething wafers. Beyond that, they seem uninterested or even angry. If this is the case, they may be having difficulty with different textures or chewing food, that leads to them not fully transitioning to table foods. Head over to My Baby Won’t Eat to learn more what might be going on under the surface and what you can do to help them. But, keep offering those other foods, even if they’re refusing them! Toddlers are B-U-S-Y, they’re interested in everything around them and being strapped in their high chair for meals often isn’t on their agenda. This is the age of chasing the shiny object and that may make sitting at meals difficult. Constant snacking seems like an easy solution, but at this age, constant snacking can snowball into extreme picky eating. And, suddenly, kids that had no texture or sensory issues with food do, because they’ve limited their diet so much. However, some toddlers won’t eat anything but snacks because of already unresolved eating challenges. They like the carbs, even crave them, and the crunch is a texture they’re comfortable with. Again, constant snacking through this stage often more deeply ingrains the picky eating. 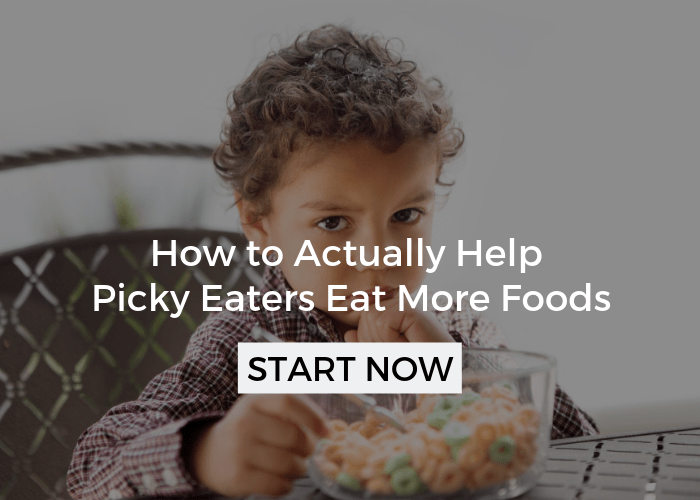 Head over to How to Prevent Toddlers from Becoming Picky Eaters to learn more. While sitting down for meals is important at every age, as kids get older, studies show that the routine and connection that happens at meals increases IQ and social skills. That’s powerful stuff. But bigger kids that are used to snacking all the time may strongly resist coming to the table because of habit, they simply aren’t used to it. Other kids may have a hard time sitting still, they’re wiggly and active and sitting for dinner seems like torture! There are strategies you can use to reign in snacking which will have a direct impact on what your child eats at meals. But, even though I just told you about all the reasons to avoid frequent snacking and grazing, know that it’s okay to break the snacking rules sometimes. 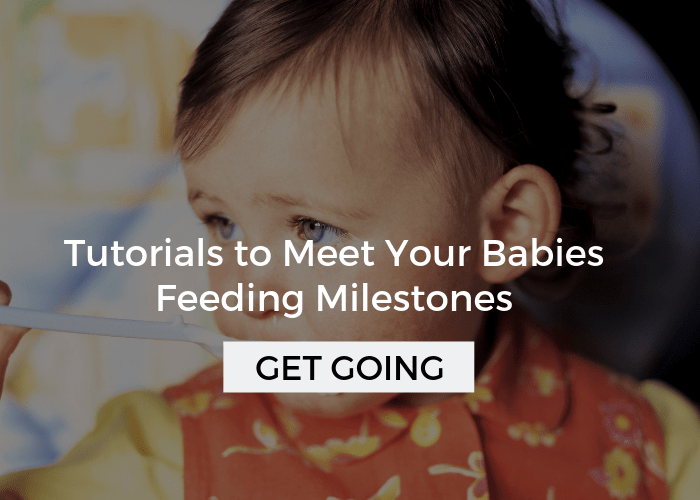 The goal here is to strive for 90% of the time when it comes to feeding your child. Drinking water can also help ease hunger pains. That means if they start eating lunch at noon, they’ll be ready for a snack between 2 and 3 pm. If this seems like too big of a span for your child, then start small and space out meals or snacks by an hour, and then and hour and a half and so on. 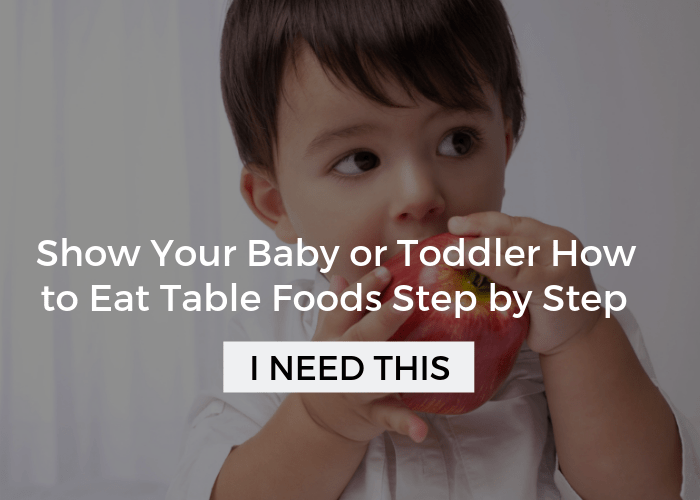 Expect some push back from your kiddo if they’re used to having food whenever they want! To learn two other essential tips that have the power to change everything for a picky eater grab a seat in my free 1 hour picky eating workshop for parents right here. Yes, milk and juice can fill their little tummy. If you have a big milk drinker, try to serve it with the meal right afterwards and then take it away. You can also water down juice slowly over time. 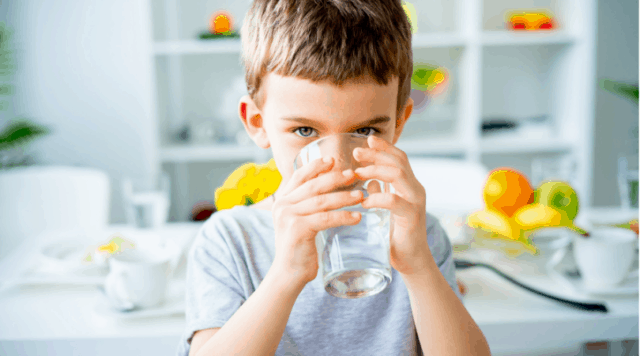 Toddlers in particular can become hooked on having their milk always available, if that’s your kiddo, check out How Much Milk Does a Toddler Need, for more strategies! If your child loves those goldfish crackers, don’t just reserve them for snacks, offer them at meals too – even if it’s dinner. It’s more important that your child learns to come to the table and starts eating there on a regular schedule, than it is to battle over the meatloaf they don’t even want to sit by. At this point, they’re eating the snacks anyways, so this will bridge the gap to beginning to eat at least something at meals. 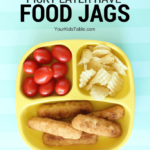 Use fun kids plates (divided plates like these are awesome for picky eaters), spoons, and forks to entice them. If your child’s old enough, use toothpicks instead of utensils to eat. Put on some fun music and tell them you’re going to play a game (like I-Spy or 20 questions) so that they’re interested. Over time, you can fade these “extras” out once they learn to sit at the table. 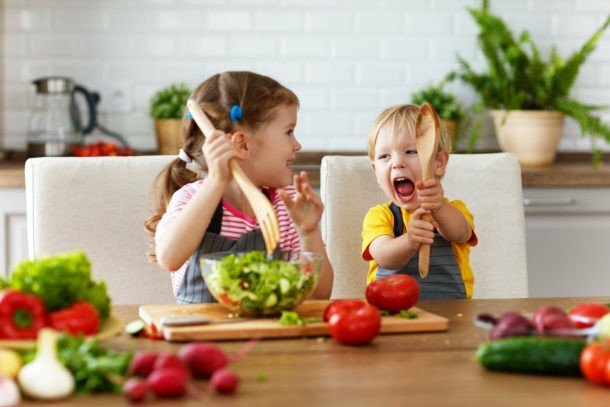 As you begin to put all of the tips into practice, a routine will already be well on it’s way, but while kids that aren’t used to a routine will initially resist it, ultimately it will give them a sense of security and help them eat more foods. Having a routine doesn’t mean you have to eat at the same time everyday, but it does mean that there’s a sort of schedule that they can expect. It could be as simple as you always have free play outside, then wash hands, eat dinner, and then watch a TV show together. 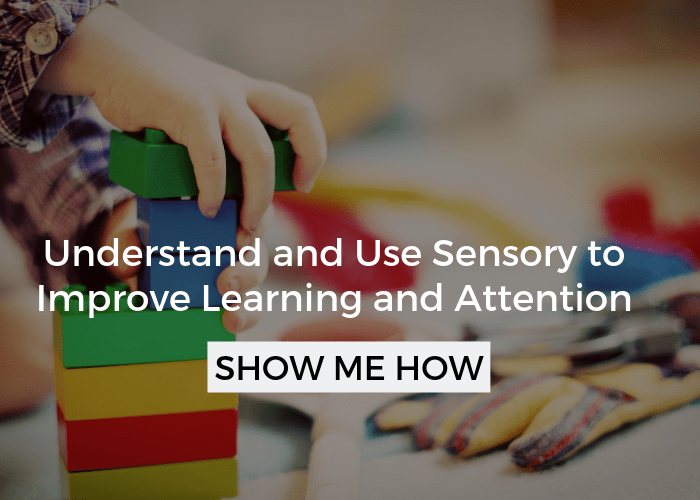 Or, there could be more steps involved depending on your preference and your child’s needs. 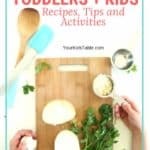 For instance, you may also have your do a sensory activity to help keep the wiggles our at the table, then set the table, and help clean up as well. 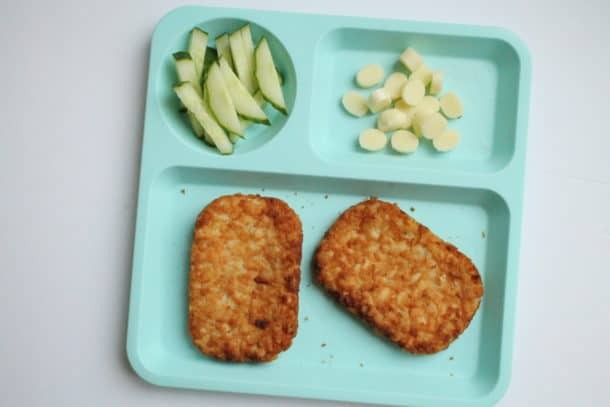 When babies, toddlers, and kids just want to snack all the time and not come to the table, starting to try and enforce meals can become stressful for everyone. 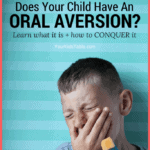 Your child may tantrum, back talk, or worse. (Head to How to Keep Your Child Seated for more tips). It may take some time to help everyone get used to this new routine. Beyond that, though, it’s really important to show your child that mealtime can be fun. That doesn’t mean you have to perform magic tricks or go out of your way to entertain them. It does mean avoiding battles over what they’re eating. Instead, focus on spending time with your child and let go of what they’re eating for now. This subtle shift can make all the difference, don’t underestimate it. If your baby or toddler is having a total meltdown when you put them in the highchair, give them a few minutes to calm down, and then try again in a few minutes. It’s tempting to let them sit on your lap, but that can be a slippery slope too, so be careful. For kids this young, it’s helpful to have one of their snack foods they prefer already out in front of their chair so they can see it! By the age of 10 months, most babies are capable of being on a regular schedule . You’ll break the rules more at this age, that’s okay. Aim for being as consistent as possible and know that most kids hit a typical picky eating phase sometime between their first and second birthday. Making these changes with older kids that are used to getting snacks whenever they want can be tricky, but it is possible. Once a child is 3-4 years old, you can talk to them in advance about the snacking changes. You’ll want to assure them that they’re still going to have these foods, but that the kitchen will be closed in between meals. You can post the schedule and let them know these changes are happening so you all can eat together. When the whining or protesting starts, offer them that water, and redirect them to something they enjoy. But, My Kid Can’t Sit Still! A lot of kids that are snacking all day, can’t stand to sit at the table. And, when you make them, they just pop back up again or throw a fit. It’s a little bit of a back and forth, but reinforcing that you expect them to be at the table will help a lot in the long run. But, there’s a lot more you can do beyond that. I’ve got a whole printable full of tips for you! I’ll send it right to your inbox! Now, you’ve got 8 strategies to stop the constant snacking. It’s a process, but it’s totally do-able. Tell me which tip you’re going to try in the comments below! Do you have a printable version of this post?